On Mar. 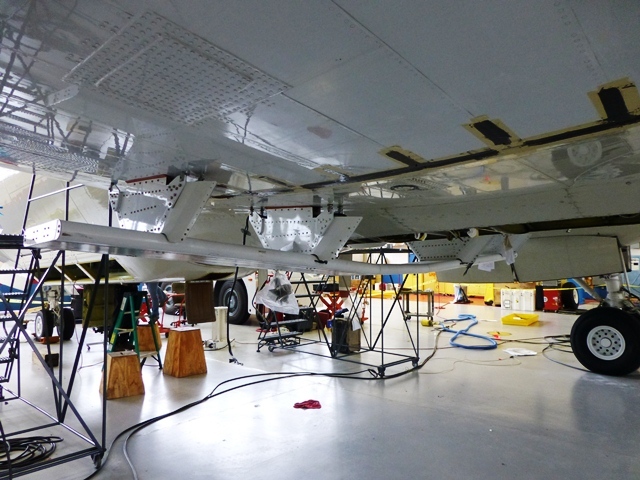 14 and 15, the IceBridge team carried out project check flights in preparation for the Arctic campaign. After an engineering check flight earlier in the week to make sure everything is properly secured inside the aircraft, scientists and a small number of instrument operators board the P-3 to begin flights over the Wallops Flight Facility airfield and beaches near Wallops Island, Va., to test the Airborne Topographic Mapper (ATM) and Digital Mapping System (DMS) and over the Atlantic Ocean to test the Multichannel Coherent Radar Depth Sounder (MCoRDS), the snow and accumulation radars, and Ku-band radar altimeter. These check flights have two main purposes. 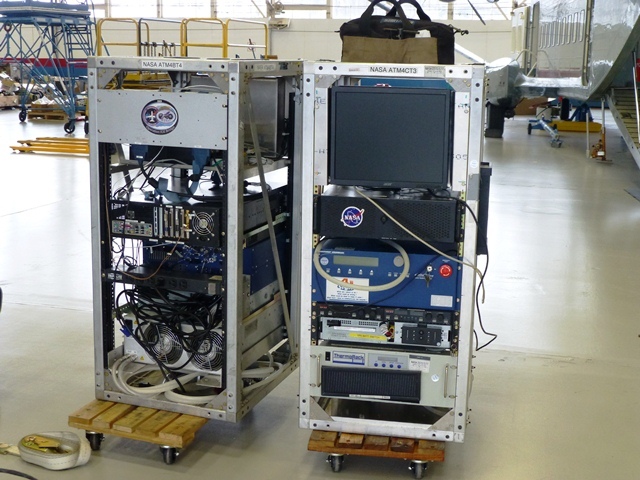 The first is to test the equipment to make sure it’s all in working order and the second is to collect data that is used to calibrate the instruments. 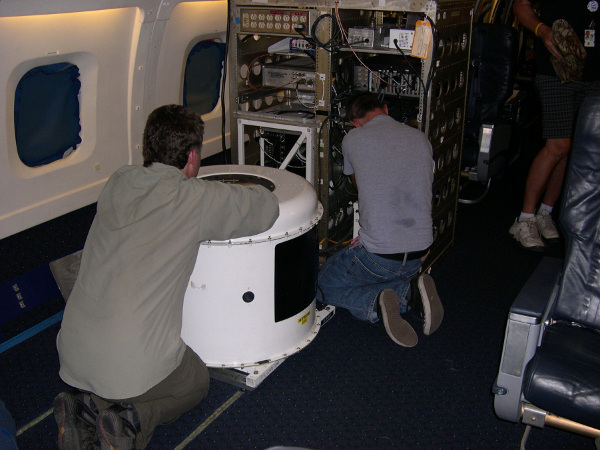 Every time an instrument is installed in a research aircraft it’s important to make sure that nothing has changed since the last time it was flown. 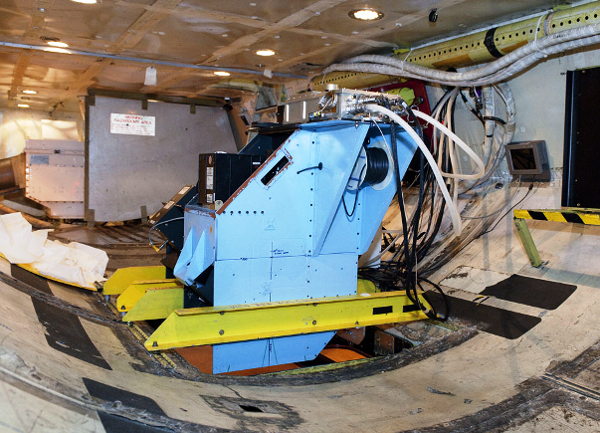 Ground tests can catch many alignment and installation problems, but the real moment of truth comes in flight tests. On the afternoon of Mar. 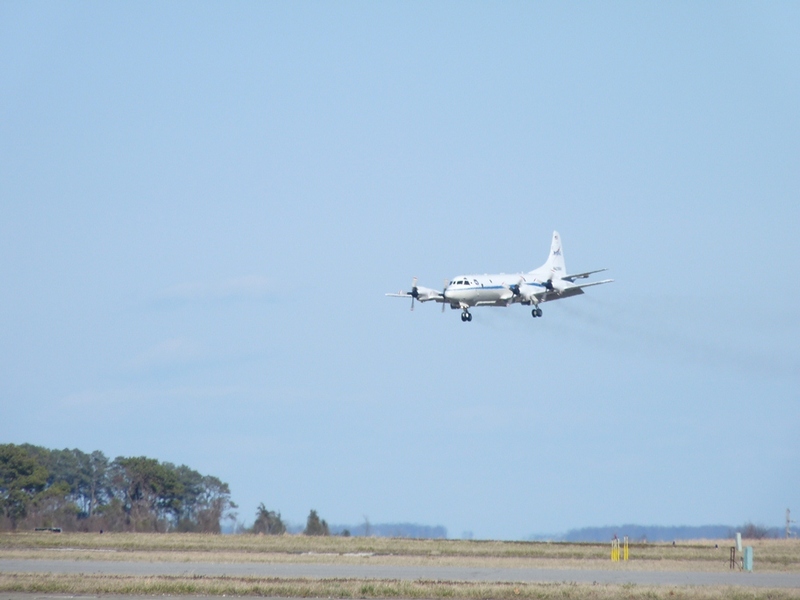 14, the IceBridge team took off for flights near Wallops to test the ATM and DMS systems and check other electronics. By flying a level flight at varying altitudes, the teams can collect data that ensures their instruments are properly calibrated. Different materials reflect light to varying degrees, which can make a difference with a laser-based instrument like ATM. Because IceBridge is measuring snow and ice, highly reflective materials, the ATM team will often test over sandy areas the beaches near Wallops. This is because sand reflects light in a similar way to ice. 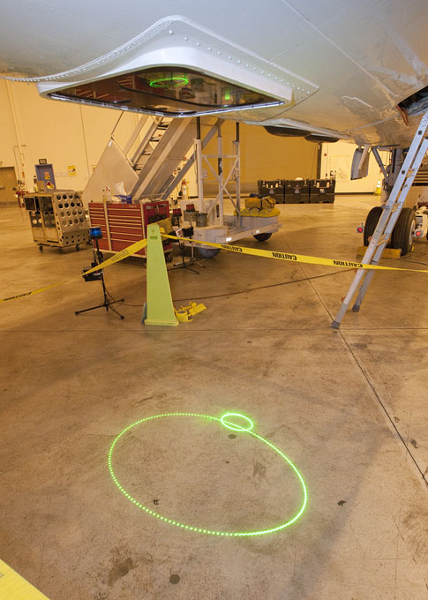 Another test is to check areas near each other with widely different albedos, for example, the white numbers and surrounding dark pavement on the runway. If light and dark targets next to each other show the same elevation then the instrument is calibrated properly. Similarly, the team tests the DMS instruments to make sure the camera is aligned properly and that focus and frame rate are set appropriately. The rate at which the DMS camera captures photos depends on the aircraft’s speed and altitude, with lower altitude and higher speeds needing a faster rate to ensure proper coverage. On Mar. 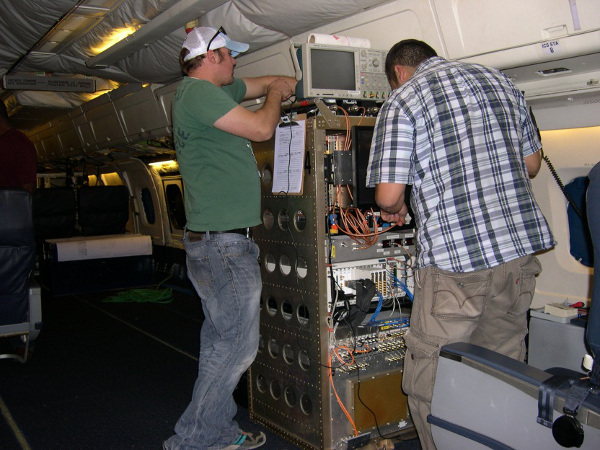 15, the team took off in the morning to do final checks of the P-3B’s radar instruments. Instead of flying along the beaches near Wallops, the P-3 headed out 200 nautical miles over open water in the Atlantic Ocean. The reason for doing this test over the ocean is twofold. First, U.S. law prevents IceBridge from operating its radars inside the country, and second, the ocean surface acts almost like a mirror for the radar, making it ideal for testing. By comparing transmit and return signal strengths at different altitudes, the team can make sure the radar is working properly. Signal strength, however, is only part of the picture. MCoRDS is made up of several antennas in an array, with each antenna’s signal recorded separately. To make sure that each element is aligned correctly, the P-3B climbs to a high altitude and banks left and right while researchers measure how the return signals change during the maneuver. These maneuvers are also the reason why the radars are tested on a separate day from ATM and DMS. Once the plane banks more than 15 degrees, its wing blocks these instruments from seeing GPS satellites in orbit and both ATM and DMS need accurate GPS data to work properly. 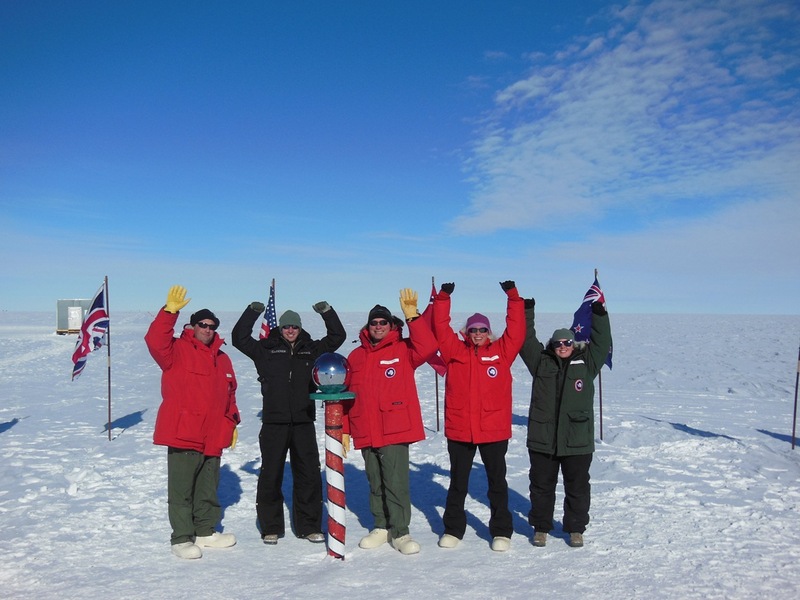 With the check flights complete it is nearly time for IceBridge scientists, instrument team members and flight crew to make the trip to Thule, Greenland, to start the 2013 Arctic campaign. 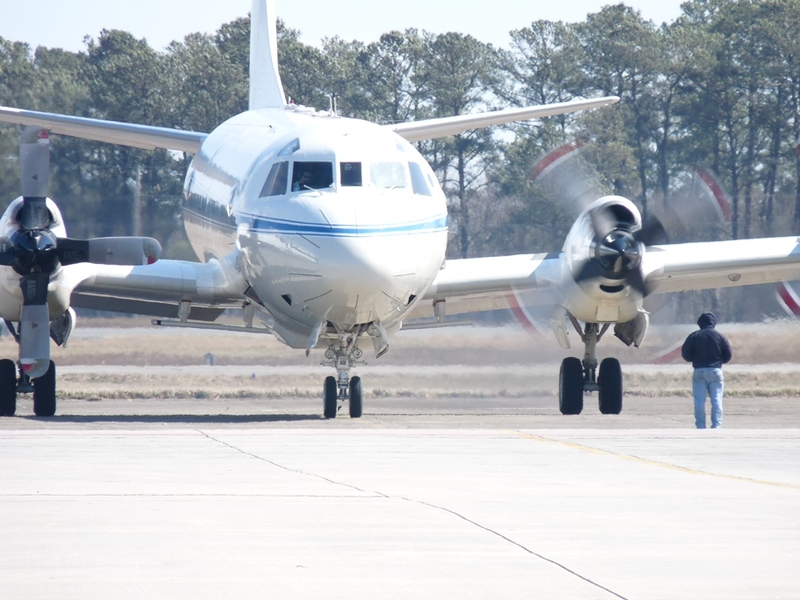 The P-3B is scheduled to make the transit flight from Wallops early on the morning of Mar. 18, and the first science flight is scheduled for Mar. 20. Success in science takes many things. 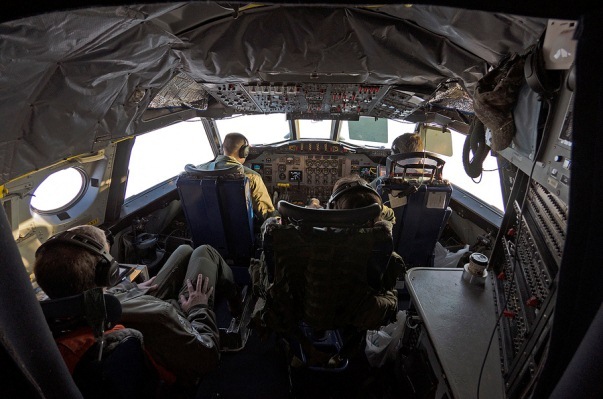 Dedication and hard work are just a couple, but one thing that airborne science requires that other disciplines don’t need is aircraft. 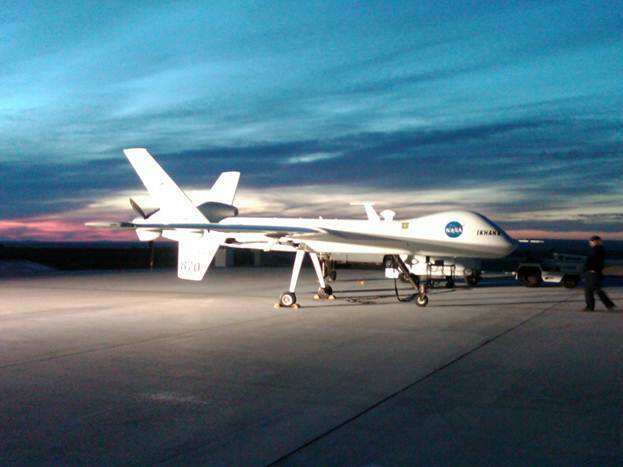 Without aircraft airborne science would just be science. And one thing is certain about aircraft. 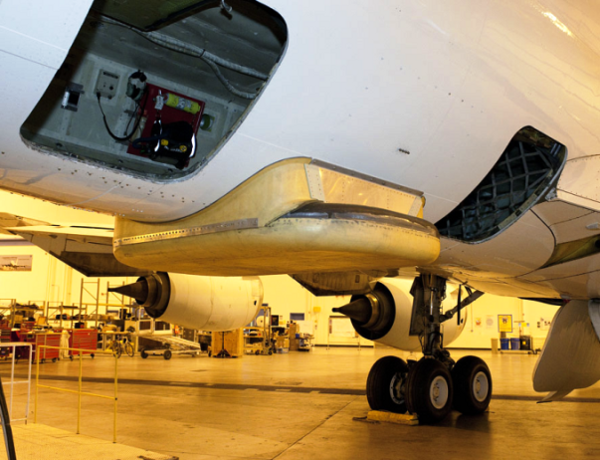 They require constant and vigilant maintenance to keep operating at their peak. 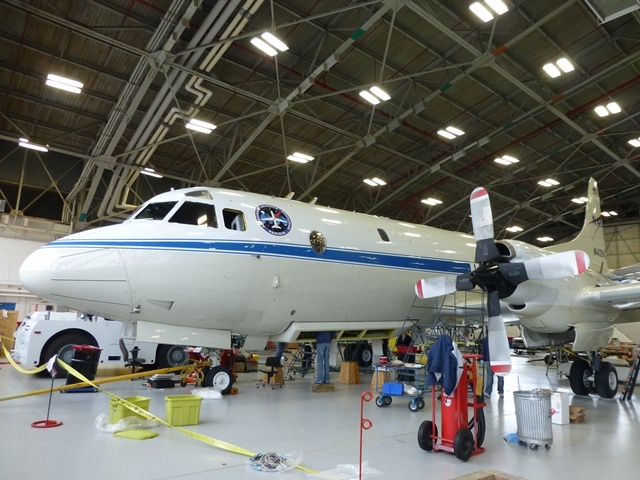 NASA airborne missions like Operation IceBridge rely on skilled and dedicated mechanics and technicians to keep their planes flying in some of the harshest conditions around. But finding people with the right balance of training and temperament to work on NASA’s fleet of aircraft is becoming more difficult. With a decreasing interest in working in the aviation field, an aging workforce and increasingly specialized training needed, NASA managers are finding it harder to hire the kind of people needed to keep things going. 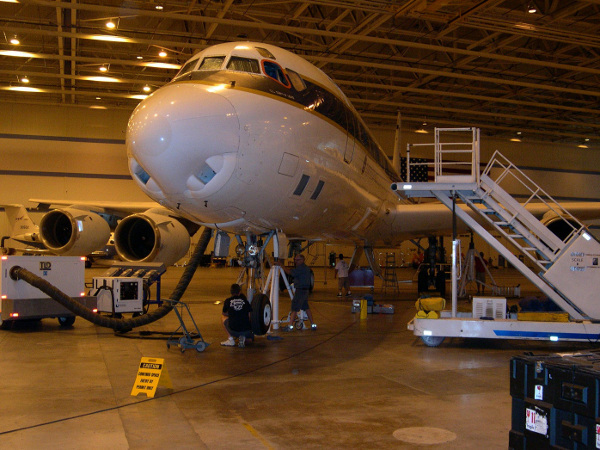 Being an aviation mechanic requires something called an aircraft and power plant, or A&P license, which gives its holders permission to work on any aircraft the U.S. Federal Aviation Administration controls, from ultralights to jumbo jets. The FAA only grants this license after applicants have completed rigorous training and passed three written, three oral and three hands-on tests. 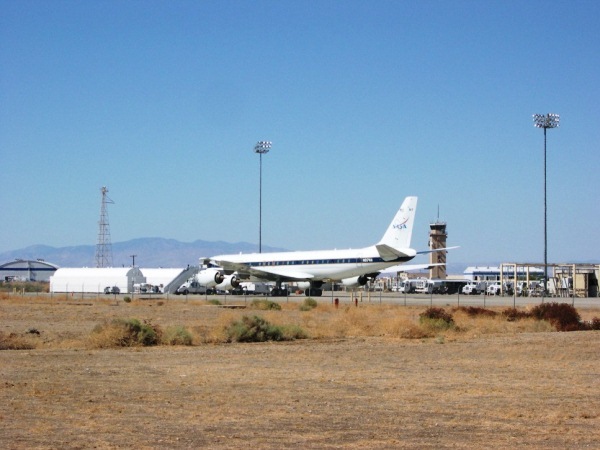 “Before you even get to put your hands on an airplane, there’s a lot of stuff you have to do,” said NASA DC-8 crew chief James C. Smith III. Most people in the field got their training in one of two places. “You can either go to a two-year college or get what you need through military experience,” said Smith, who spent years in the U.S. Army working on helicopters. Today an increasing proportion come from the military as civilian training programs have been losing popularity. “Several college specific A&P schools have closed because they don’t have enough people coming through,” Smith said. 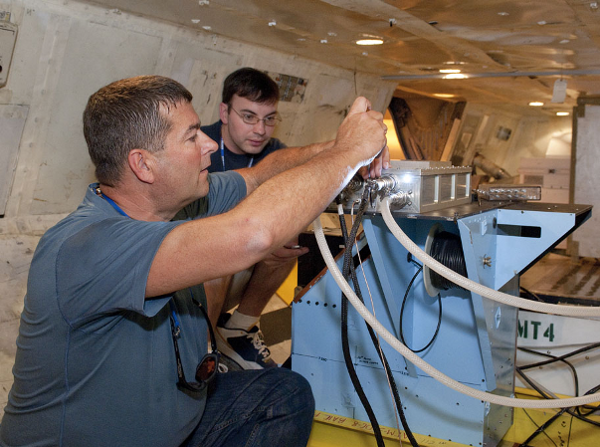 NASA engineering technician Rich Souza came to NASA after several years both in the U.S. Air Force and private industry. 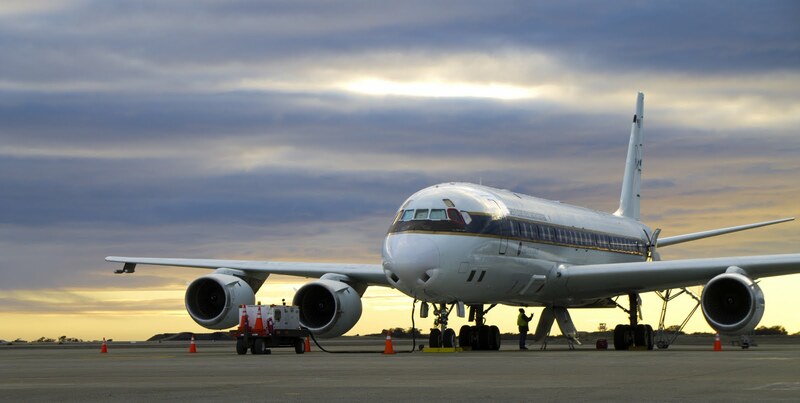 Souza specializes in aircraft engines, working in the engine shop at NASA’s Dryden Flight Research Center and keeps the DC-8 running at its peak. For him, the military was a great way to go and he recommends it to anyone who is interested in doing hands-on work with aircraft. “They give you the skillset, the aptitude and the attitude you need to do your job,” Souza said. Brad Grantham, a NASA avionics technician, also speaks highly of military training, though he earned his position in a less conventional way. He started working with aircraft right after high school, taking a low-paying entry level job and working his way up the ladder. “Any time I found a position to advance and learn more about aircraft systems, I took it,” Grantham said. 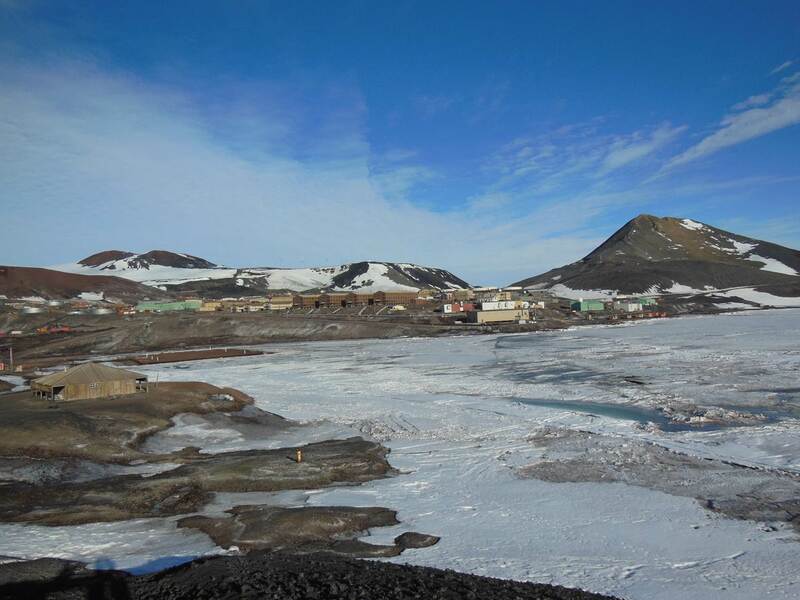 Avionics, Grantham’s specialty, covers everything electronic in the aircraft from navigation systems to the plane’s satellite communications system, all important when flying anywhere, let alone over Antarctica. 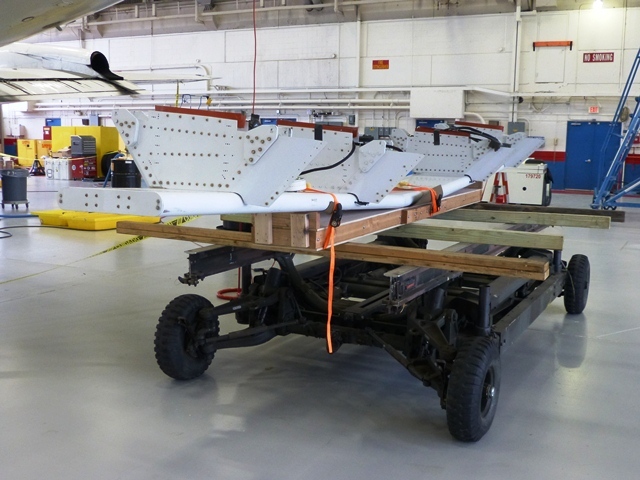 “An aircraft can’t just pull over if there’s a problem,” Grantham said. No matter how one learns about aviation, once at NASA, technicians enter a field where no two days are the same. 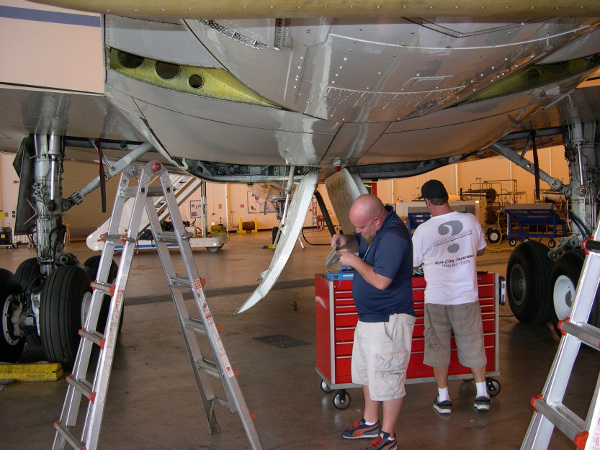 Technicians are always reconfiguring aircraft for different missions and although they may have favorite aircraft, they work on more than just one. 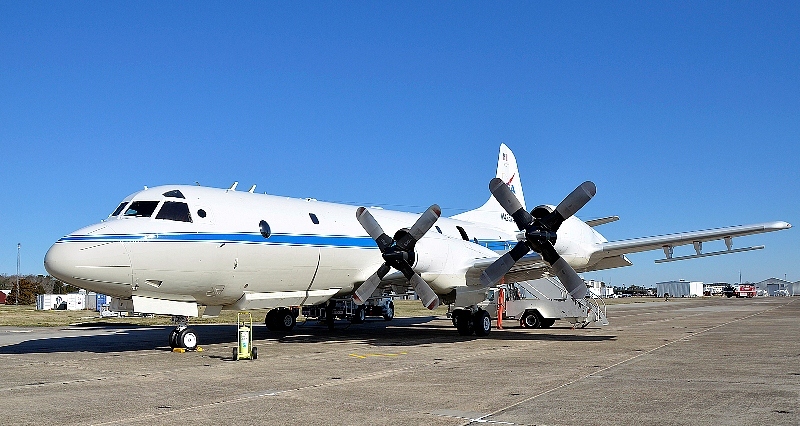 NASA’s fleet is diverse, ranging from the propeller-driven P-3B, to giant 747s, to the ER-2 high-altitude research aircraft and a variety of other planes. This diversity of aircraft brings a refreshing variety to a busy job, but one of the big perks of working on NASA aircraft is that technicians go where the plane goes. 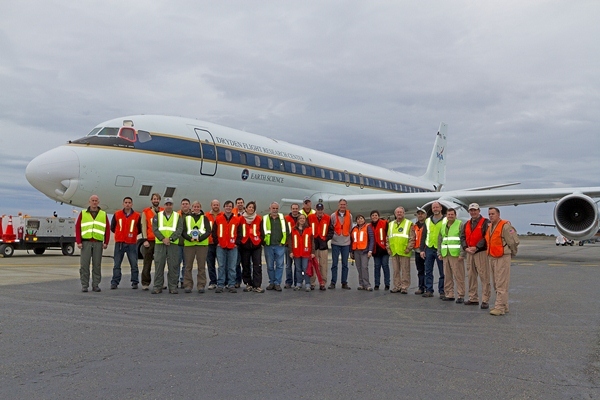 Grantham and Souza have traveled many places around the world during their time with NASA and both have deployed to Punta Arenas, Chile, three times to support the DC-8 for Operation IceBridge. In addition to their usual ground duties, working on aircraft mechanical and electrical systems, NASA technicians also pull a second duty as safety techs aboard the aircraft. This involves showing passengers how to use the aircraft’s safety equipment, keeping the aircraft clean and everything aboard secure and generally keeping everyone on board safe. 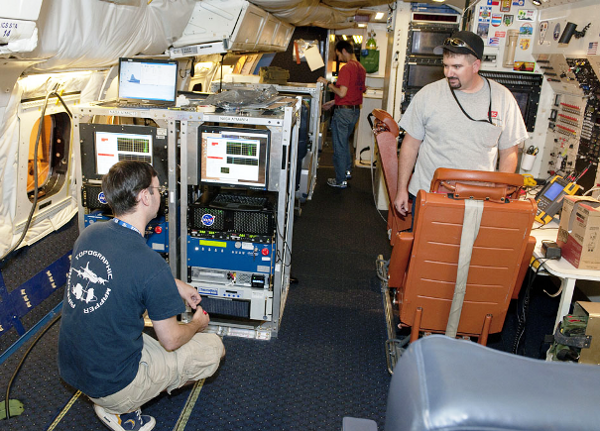 Flying on scientific missions aboard planes they maintain is another thing that separates NASA’s technicians from aviation techs in other organizations. “It’s nice to see things from both sides,” said Grantham. The road to becoming one of the people responsible for keeping NASA’s planes flying begins early on. Both Souza and Grantham realized at a young age that they wanted to work with aircraft in a personal and hands-on way. Preparing for such a career means getting as much experience as you can with anything mechanical and electrical. “It gives a good baseline for further training,” said Souza. 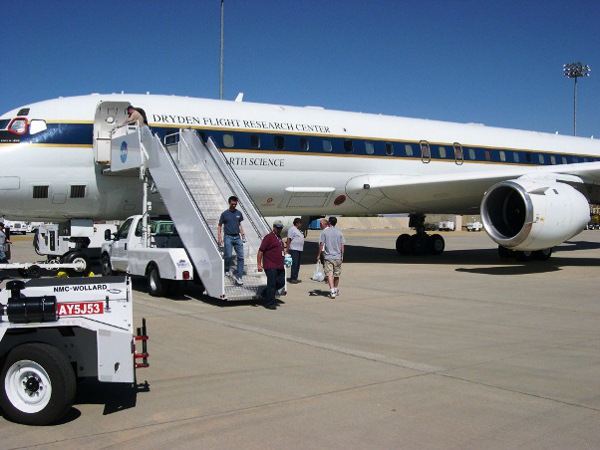 Over the next few weeks the IceBridge team will prepare NASA’s DC-8 airborne laboratory for the 2012 Antarctic campaign. 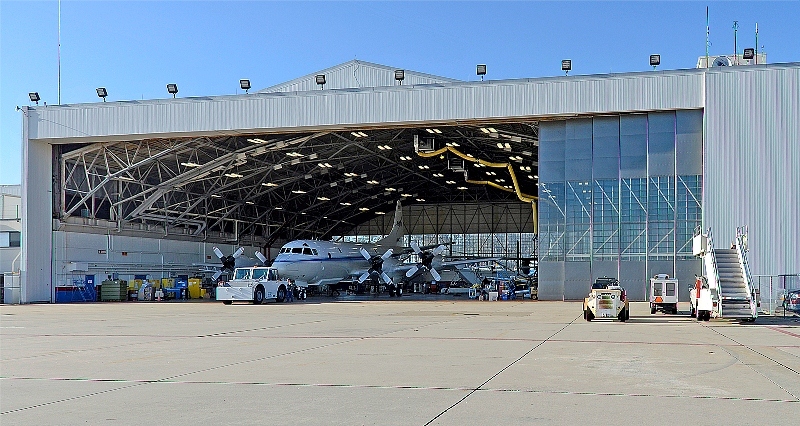 Long hours in the hangar at NASA’s Dryden Flight Research Facility mean that the MCoRDS antenna and Airborne Topographic Mapper have been installed and all ground tests for ATM are complete. 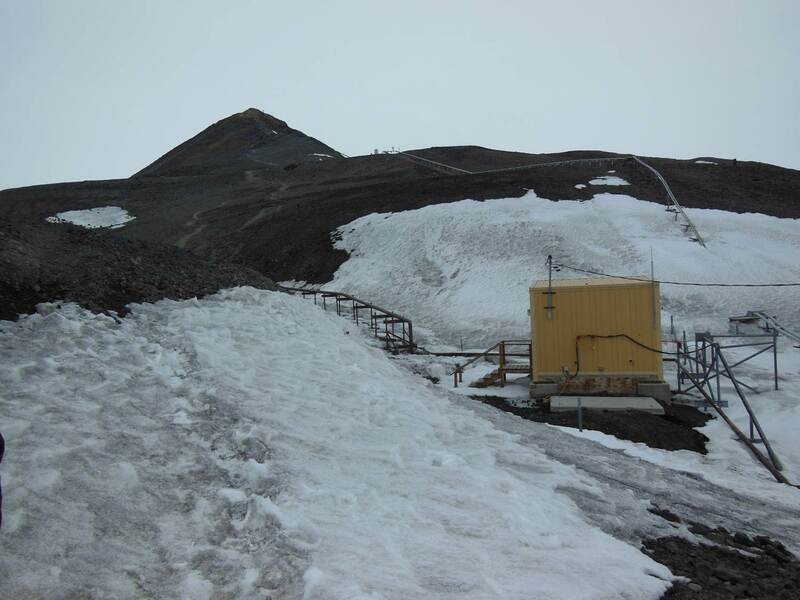 Next week, the radar and gravimeter teams will begin their preparation work. If you know the saying “make hay while the sun shines”, you’ve already got a pretty good idea of how weather affects flight operations for Operation IceBridge. Generally speaking, our flights require clear skies over the area in which we are operating on any given day. There are two good reasons for this. First, some of our sensors, including the Airborne Topographic Mapper and the Digital Mapping System, are optical instruments and need the sky between the aircraft and the ground to be cloud-free to obtain their measurements. Second, since we usually fly low and close to terrain (and sometimes amongst mountain peaks), our pilots need clear skies in order to see and avoid the terrain for flight safety reasons. These requirements mean that weather largely governs what we do on any given day, and makes it necessary for OIB project scientist Michael Studinger and myself to remain immersed in the minutiae of polar weather every day while we are in the field. On every potential flight day, we must make a decision about whether to fly and where to fly, and if we make the wrong decision we might face the mortifying prospect of returning from an expensive taxpayer-funded flight without science data to show for it. So far in the 3-year history of OIB, that has not happened, and Michael and I very much want to maintain that record. Michael and I typically start studying the current weather patterns governing our operating areas at least a week prior to our deployment. It is helpful to develop a sense of context and a feeling for the current weather systems and their movements before we must begin making decisions on flight days. Our primary tools for this, and for all of our weather analysis tasks, are satellite imagery in several wavelengths, meteorological forecast models and point observations of current weather conditions from observers on the ground. Satellite imagery, most of which is provided by NOAA polar-orbiting satellites in our case, gives us a snapshot of the clouds over an area of interest. Imagery in the infrared band shows us not only the extent of the clouds over an area but also suggests the altitude of the cloud tops, since the infrared band is sensitive to temperature, and cloud temperatures are dependent on their altitude. 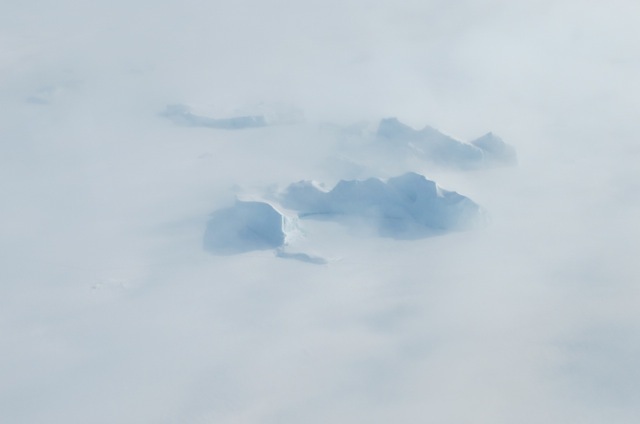 Basically, bright white clouds are high, gray clouds are medium or low, and ground fog can sometimes be almost indistinguishable from the ice surface as their temperatures are similar. Visible imagery is better at showing us texture, which helps us distinguish between ice surface and fog, estimate the thickness and density of the cloud cover and determine the distance between cloud bases and the terrain beneath by virtue of the shadow they cast on the surface, especially when the sun angle is low. Another type of imagery we sometimes use is known as the “3 micron” band for its wavelength. This type is particularly sensitive to the amount of water vapor present in cloud masses. We often refer to ground observations to help us refine our interpretation of satellite imagery, primarily because they provide a reliable measurement of the distance between the ground and the cloud bases. Sometimes the clouds are high enough and the terrain sufficiently benign that we are able to fly below the cloud bases, and point observations occasionally allow us to make such a judgment with some confidence we might not otherwise have. We must be careful, however, to remember that these observations are valid at one point only, while our flights cover large distances. But for forecasting weather into the future, we are highly dependent on computer meteorological models, which predict what the weather may be like later in a day, or into the next day or beyond. Such information is critical for planning and optimizing our flight selections. For example, we might examine satellite imagery early on a potential flight morning and conclude the weather over our target is clear, but if a forecast model shows that the weather there will deteriorate by mid-day we would probably choose not to fly there. Sometimes the reverse occurs, where morning imagery might show marginal conditions over a target area but the forecast models confidently predict quick improvement. In such a case we might choose to launch a flight into the area, if our confidence in the model predictions is sufficient. A typical flight day for me (and probably Michael as well) literally starts with weather as soon as I roll out of bed. 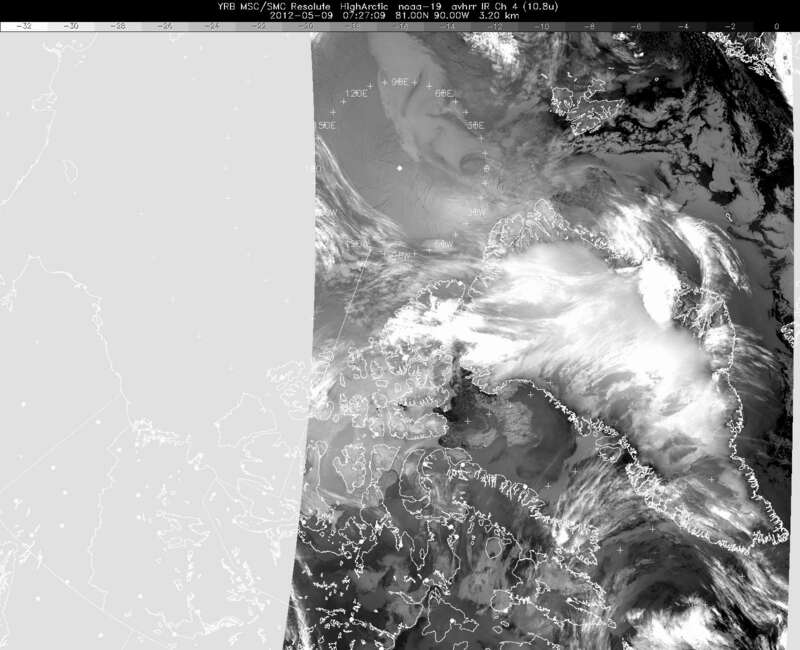 The first thing I do every morning, even before brushing my teeth, is to open up my laptop and download a few satellite images to get a sense of cloud cover. That way I can mull it over while I get showered and into my flight suit and have breakfast. After breakfast, Michael and I, and our pilots, head to the local airport’s weather office to get their take on the weather where we are going. I cannot stress enough the importance we place on our discussions with these professional meteorologists, nor can I praise them enough for the help they invariably give us. Most of them seem to genuinely enjoy the professional challenge we bring to them, since the kind of flying we do, and the weather we are dependent on, are so different from those of the flight crews they normally deal with. In this morning weather briefing, we go over everything they have available, including satellite imagery, model predictions, point observations, and their own professional and experientially-derived “feel” for the conditions. Once we have gathered all the information available, it is decision time. We always remember that when we launch a flight, we are committing the U.S. taxpayer to pay many thousands of dollars to operate a big, expensive aircraft that day. So we take this decision very seriously, and at times it can be a rather nerve-wracking process. Icebergs in a northwest Greenland fjord shrouded in fog. Credit: NASA/Jim Yungel. Once in the air we constantly monitor the weather to see if it was as we expected, based on the morning weather briefing. It usually is, though the exact locations of cloud boundaries and ceilings are sometimes slightly different from what was predicted, and occasionally ground fog might exist where we did not expect it. 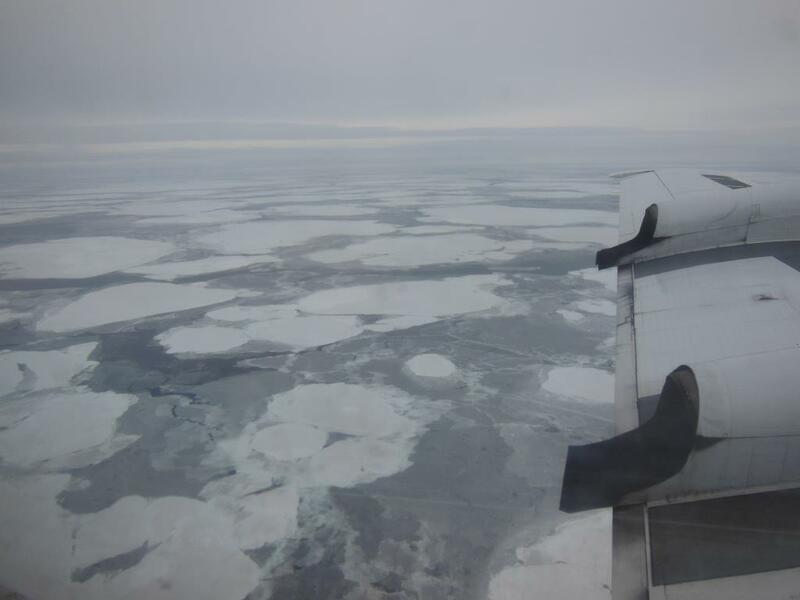 We find that ground fog is consistently the most difficult aspect of polar weather to predict, although it has never adversely affected a flight to a serious degree. We also monitor the winds and compare these to the forecasts, which is important because winds can create turbulence under certain conditions, and turbulence can create a variety of problems for us. Once we land, Michael and I immediately head back to weather office to get a forecast for the next day. Next, based on what I heard at this post-flight briefing and on further information I obtain from the internet, I prepare a weather briefing for the entire field team, which I give at our nightly science meeting. This briefing usually has two parts. First is a quick retrospective analysis of the day’s mission, comparing the weather we expected with what we actually encountered. Doing this on a daily basis helps us fine-tune our understanding of the performance of various weather models, our interpretation of imagery and our general decision-making process. Next I give an overview of our expectation of the next day’s weather and which flights might be best-suited for it. 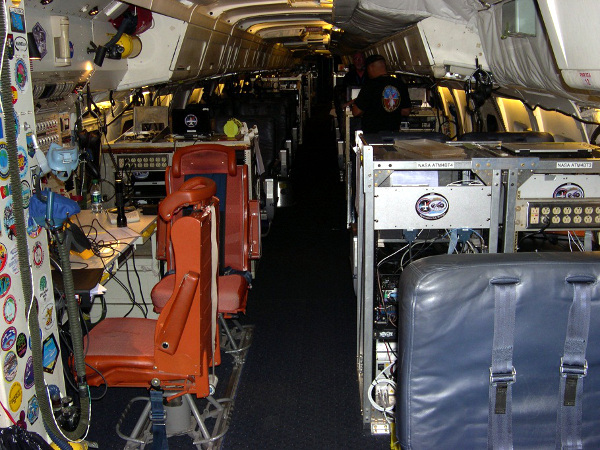 This enables the flight crew and the instrument operators to prepare for the next day’s activities. The next morning, the process starts all over again. By the time we end a long deployment (the current one will be 11 weeks long), I look forward to spending entire days without looking at a weather image. But to be honest, I am at heart a weather geek, and after being back home for a while I miss the sense of connectedness I had to the natural world from remaining so immersed in meteorology for such a long time. I have found that the key to successful weather-based decision-making is to consult as wide a variety of sources as possible, diligently calibrate oneself to the strengths and shortcomings of all weather models and other sources of data, and probably most importantly, simply stay on top of the weather situation multiple times each day. By doing this we can develop an almost intuitive sense for the evolving weather regime, which helps us quickly digest new information and interpret it correctly. Finally, I think it’s important to cultivate a sense of humility with regards to weather forecasting. Meteorology is a complex business and there is much we do not know. This is particularly true in the polar regions, because in contrast to places such as the continental US, the measurements that feed weather prediction tools are extremely sparse. In practice this sense of humility translates into keeping an open mind about the weather, avoiding coming to hasty conclusions before consulting every possible source and having contingency plans ready in case things do not work out exactly as we thought.